The Future is Possibly Past: The Anxious Spaces of Gaetano Pesce. Pavitt’s essay explores the work of Italian designer and architect Gaetano Pesce from the late 1960s to the early 1990s. Once a prominent figure whose activities were widely reported in the international design press, Pesce had not previously been the subject of sustained scholarly analysis by design historians. Pavitt’s essay is an original examination of Pesce’s use of materials (mainly plastic) and spaces (underground) and the ways in which they invoked a sense of anxiety and instability in response to pressing social conditions at the height of the cold war and the economic crisis of the early 1970s. Focusing on the exhibits and archival and documentary material relating to a number of key exhibitions in Pesce’s career, including ‘Italy: The New Domestic Landscape, Achievements and Problems of Italian Design’ (MOMA, 1972) and his one-man show, ‘Le Futur est peut-être passé’ (Centre Georges Pompidou, 1975), Pavitt demonstrates how his use of materials and spaces can be seen as an attempt to critically address the core themes of modernism in design. Pavitt also puts Pesce’s design in the context of pan-European ideas about the role of the body in performance. This essay resulted partly from research conducted by Pavitt for two exhibitions which she co-curated for the V&A Museum: ‘Cold War Modern’ (V&A, 2008–9) and ‘Postmodernism’ (V&A, 2011–12), as well as a separate examination of Pesce’s work based on archival research in the designer’s studio. 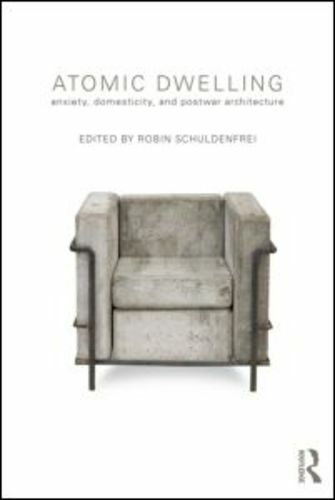 The research was first presented at the annual Association of Art Historians conference at the University of Glasgow, 2010, as part of a session entitled ‘Anxious Spaces/Postwar Homes’. Pavitt’s research led to the inclusion of Pesce’s work in the form of drawings and objects in the ‘Postmodernism’ exhibition, and the acquisition of a major work for the V&A’s collections.